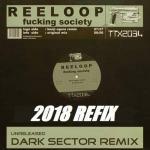 Because of i got so many requests about this Remix, here's now the reworked and remastered Version free for everybody to download. Listen, enjoy and play it out loud! Stop adding links in the description. Don't embed links to the song in the description.